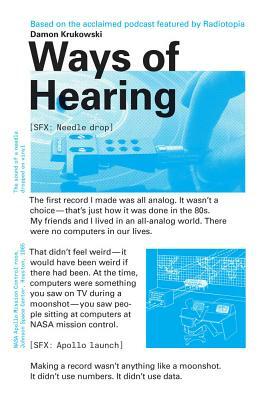 Damon Krukowski’s new book, Ways of Hearing (MIT Press), began as a six episode podcast on Radiotopia. Inspired by John Berger’s classic, Ways of Seeing (which was based on a BBC television series on visual culture), Ways of Hearing examines the ways in which the switch from analog to digital audio is changing our perceptions of time, space, love, money and power. Damon Krukowski, a writer and musician whose projects have included an indie rock band (Galaxie 500) and a folk rock duo (Damon & Naomi), joined us most recently to speak about his book, The New Analog: Listening and Reconnecting in a Digital World as part of KEXP’s Songbook series.